Whether you're a proponent of artificial intelligence and machine learning or not, there's no denying that it's becoming a popular tool in the tech industry. Companies like Google and Facebook use it in their algorithms to feed you the content they think you want to see, while the car industry uses it to improve self-driving vehicle capabilities. If we're to assume that the widespread adoption of artificial intelligence is a foregone conclusion, it's not a stretch to think that we'll need to do a lot of research to prevent the tech from running wild, or being used to nefarious ends. Fortunately, researchers have been looking into the ethical and security implications of AI for quite some time now. Indeed, according to a New York Times report, M.I.T. is planning to launch an entire college dedicated to the research of artificial intelligence, backed by a "planned investment" of $1 billion. NYT says two-thirds of the funds have already been raised. The purpose of the college will not be singular - it sounds like M.I.T. wants to look into everything from the ethical and social implications of AI to how the tech can be used across various different disciplines. M.I.T. seems intent on creating an environment where the humanities are all blended with computer science. In theory, the latter would be a blurred area of study; one that's used across many different fields (such as biology, linguistics, or even medicine) in the form of AI-driven tools. So, where is the tidy sum of $1 billion coming from? Apparently, $350 million of the funds are coming from a private equity firm named the Blackstone Group, headed up by a Stephen Schwarzman. As for the other $650 million, we don't know just yet - it sounds like fundraising is still ongoing, and NYT's report doesn't clarify who all of the current donors are. As far as locations go, M.I.T. 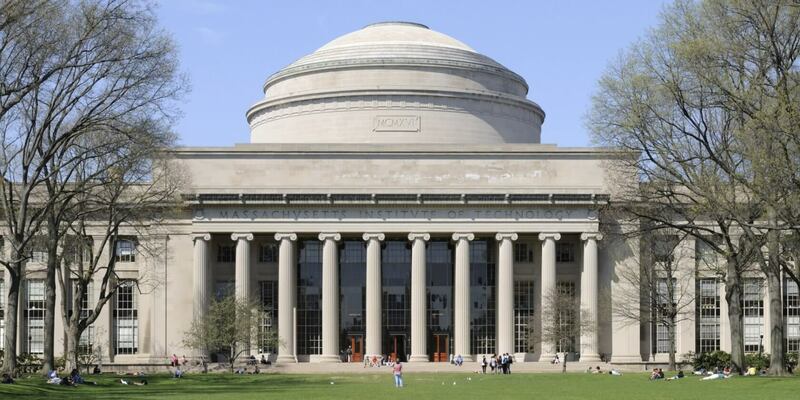 will reportedly base their AI college -- dubbed the M.I.T. Stephen A. Schwarzman College of Computing -- out of existing buildings to start, but sometime in 2022 it will be moved to its "own new space," wherever that may be. It's probably not something school administrators are worried about, though. Assuming M.I.T. can reach its fundraising goal, there should be plenty of money around to cover the purchase of some new land. At any rate, what do you think of the concept of an AI-focused college? Let us know in the comments.